7:38 Does the price you pay matter? very good points, thanks for sharing. Whoever is running this channel, hats off. Fantastic job, we all appreciate it – probably the best finance channel on the web. Great information in this video. Congratulations on Reaching 50,000 subscribers. Keep it up. Thanks for putting up this video. Very much appreciated. Thank you so much for uploading Howard is such a great man so much value for free, thank you for the content. thanks a lot uploader, Have a nice day! I would say after Buffett, he's probably the go to guy for general investment advice. Great page, keep up the good work! Great Work ! Thanks ! HURRY AND GRAB THIS OPPORTUNITY NOW.. Thank you for the upload and for the help in educating the markets. 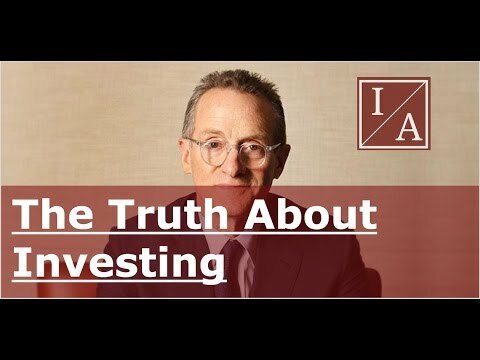 One of the best investment videos I've ever seen, perhaps the best. I started trading in 2011 and have returned over 30% YOY. I watch this to remind myself that it COULD be luck and not skill. Kudos to Mr. Marks. Have to add that this is invaluable. Its been my most productive 57.10 minutes in this one year. Deep appreciate.